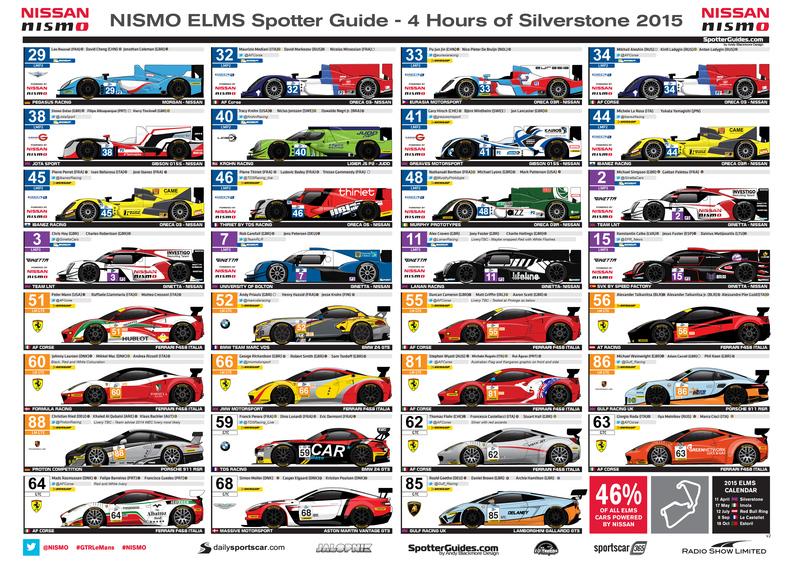 NOTE: Unfortunately, there will not be a 2016 ELMS Spotter Guide form SpotterGuides.com as I haven’t been able to find a sponsor and the WEC now provide their own guide which affects the ability of sponsorship for either guide. Thanks for the support in the past. 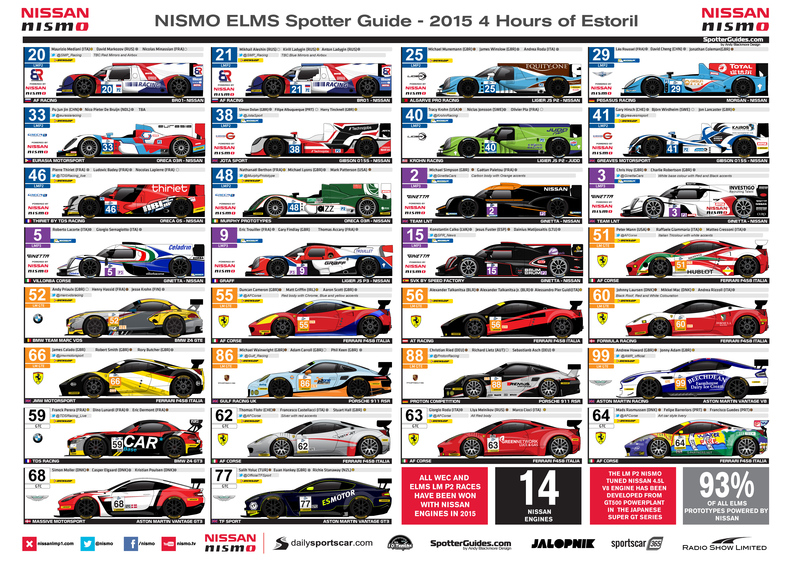 Weclome to the NISMO European Le Mans Series Spotter Guide, updated race by race with the latest teams, drivers and liveries. 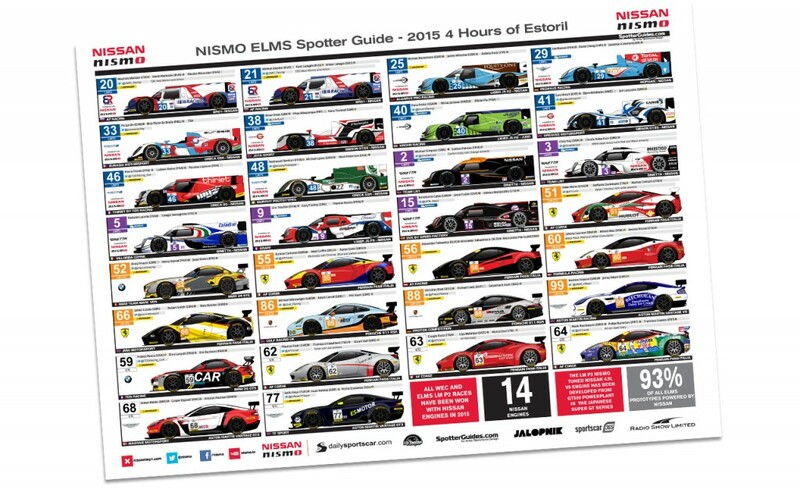 Five rounds spread across Europe, almost half of the field will be powered by Nissan, so its fitting that Nissan and NISMO are partnering with Andy Blackmore Design to bring you the ELMS Spotter Guides in 2015, along with the WEC and 24Hr of Le Mans. 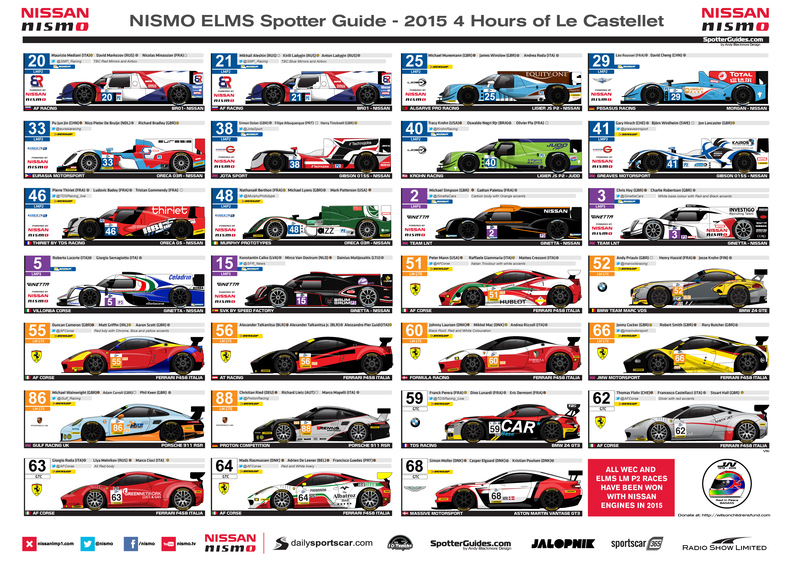 The Spotter Guide features all the car, class, tyre team and driver details including the FIA Driver grading system and will be updated prior to race week. 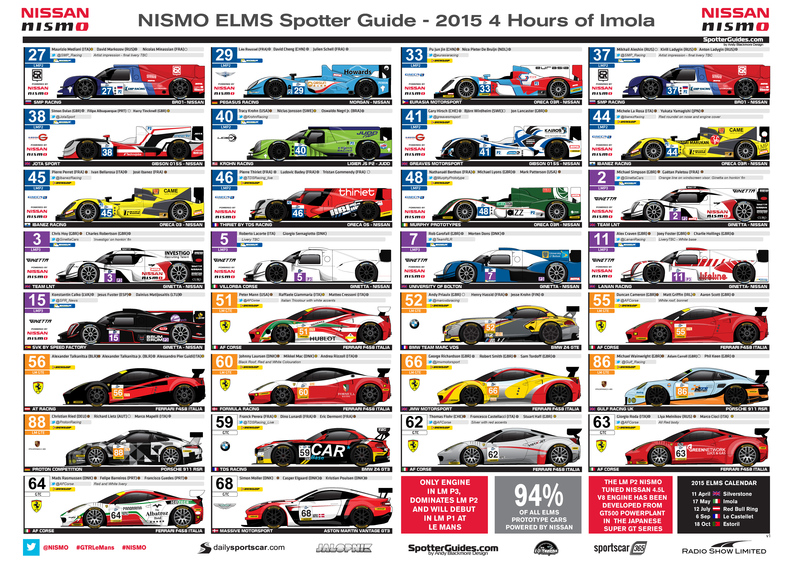 As practice and qualifying near, the plan is to continue updating the guide with any significant driver or team changes. 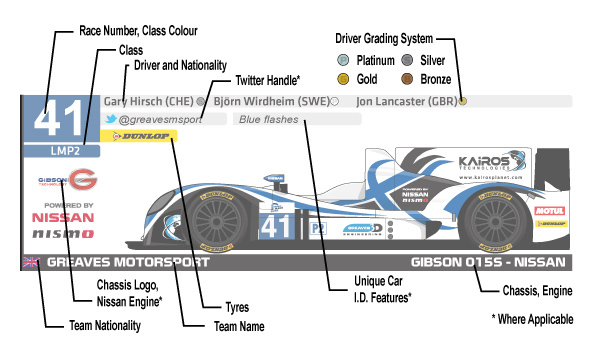 We aim to be the most up to date visual resource for the series! 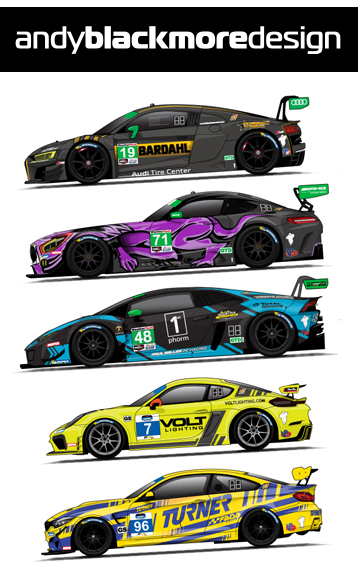 Thank you also goes to the media partners, DailySportscar, Radio Le Mans, Jalopnik, Ten-Tenths and Sportscar365.com who all support and promote the guides. This guide is produced for ISO A3 which is the international standard – You can scale to whatever size you desire in your print menu on most applications so this will print smaller or larger including 11×17. 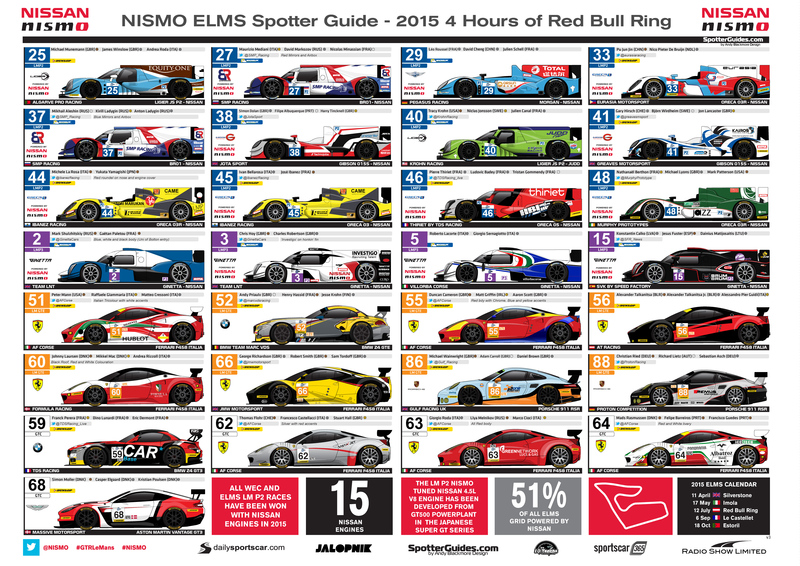 This NISMO sponsored Spotter Guide is not affiliated with the FIA World Endurance Championship, European Le Mans, ACO or any other organisation, event or entity associated with the series. The guide is an unofficial resource.